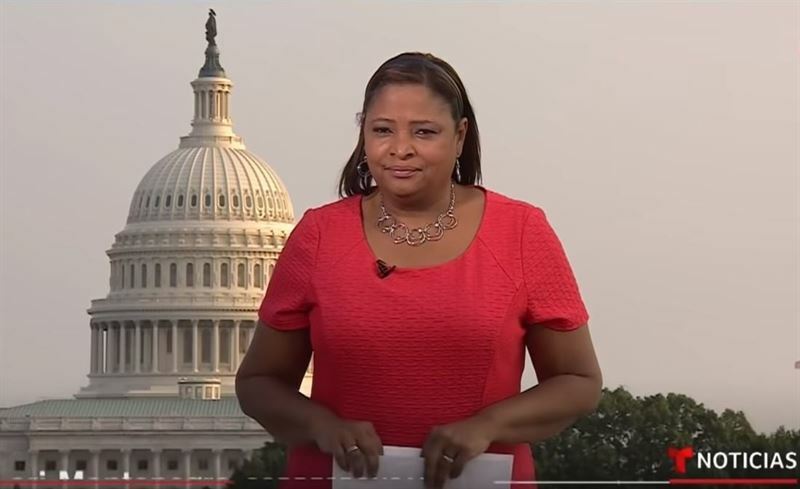 Lori Montenegro reporting from Washington, D.C.
MIAMI –February 8, 2019- Noticias Telemundo announced the appointments of Lori Montenegro as its Bureau Chief and Cristina Londoño as Senior Correspondent in Washington, D.C. The double promotion follows the Hispanic network’s announcement of the strengthening of its D.C. operation with the addition two months ago of correspondent Javier Vega. 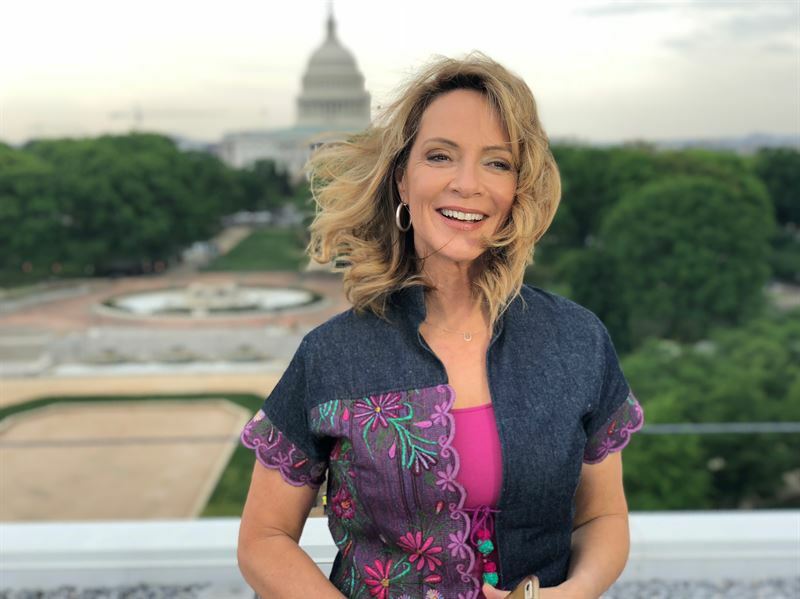 Cristina Londoño will take over the role of senior correspondent in Washington, D.C.
Lori Montenegro is one of the most influential and experienced journalists in Spanish-language television. Until her current appointment, she spent more than a dozen years as Noticias Telemundo’s correspondent in Washington, D.C. She collaborates with a number of other NBCUniversal news organizations as well, including NBC News and MSNBC. Before joining Noticias Telemundo, Montenegro spent three years as Washington, D.C. correspondent for 25 Univisión affiliates. From 1991 through 1993 she was foreign political affairs correspondent for the United States Information Agency (USIA), also in the nation’s capital. Cristina Londoño is an award-winning journalist with more than 25 years of experience covering the US Latino community. Prior to her current position as senior correspondent for Noticias Telemundo’s Washington, D.C. bureau, she served as the network’s correspondent in California (2008-2019) and Miami (2000-2008). Before joining Telemundo, she was an editorial director and producer for CBS Telenoticias, and a producer and writer at Noticias Univisión.